Seneca writes in his second letter to Lucilius, "Nothing to my way of thinking, is a better proof of a well ordered mind than a man's ability to stop just where he is and pass some time in his own company." In the same letter, Seneca writes further, " 'A cheerful poverty,' he (Epicurus) says, 'is an honourable state.' But if it is cheerful it is not poverty at all. It is not the man who has too little who is poor, but the one who handers after more." "...if he is always after what is another's and only counts what he has yet to get, never what he has already. You ask what is the proper limit to a person's wealth? First, having what is essential, and second, having what is enough." Rev. Michael Schuler said, in his sermon at First Unitarian Society of Madison on 02/03/13 entitled "Take It Slow", "For the natural world that helps us thrive, greed and speed must give way to more sensible values: generosity, forbearance, sympathy, humility, and patience. As another quote from Lao Tse reminds us, 'Nature does not hurry, yet everything is accomplished.'" Rev. Schuler says, "Unfortunately, in American Culture slowness gets a bad rap, so people are often reluctant to adopt practices that promote it. Yes, more sophisticated types have joined the 'slow food' movement, but in general slowness is equated with laziness, lethargy, lack of motivation, and even stupidity. Someone hesitates for a few moments before responding to a question or comment, and we peg him or her as 'slow-witted' rather than thoughtful." Mary Pipher writes in her book, The Green Boat, " Still, many people are hooked. Scientists have discovered that every time we hear the blip or ding of an e-mail or text message a small amount of dopamine is released into our brains. We humans are programmed to be curious and it is natural to want to know more, more, and more. Therapists have coined a phrase for this new addiction: FOMO, or "fear of missing out." Seneca, Schuler, Pipher are attempting, in their own ways, to answer the same question, "When is enough, enough?" Can we be satisfied with less? Seneca writes that the wise person already knows that less is better because it gives rise to contentment while greed for more gives rise to anxiety and fear of deprivation. 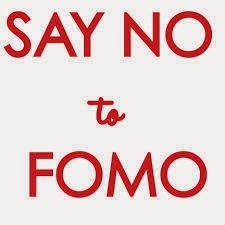 Pipher asks us to be aware and curb our natural tendency to act on our FOMO. And Schuler, the Unitarian Universalist preacher says, "Take it slow", man. Perhaps, we will rediscover the old religious clerical practices of obedience, poverty, and chastity. If not, at the very least, let us learn to be happy with less. Voluntary poverty, like the new celibacy, might lead to an awareness of and obedience to the natural laws of nature which will save our species on this earth and help their practitioners create a sense of joy in their lives. Taking it slow, forgoing FOMO, and voluntary poverty are a manifestation of the Unitarian Universalist seventh principle, a respect for the interdependent web of all existence of which we are just one, little, bitty, tiny part. People forget or overlook the fact that Jesus was not interested in sexual sins. He told the adulterous woman to go her way and refused to judge or punish her. However, He repeatedly advocated for the poor and encouraged people to be generous with their wealth. Remember His statement about a rich man getting into heaven was about as likely as a camel getting through the eye of a needle. The idea of voluntary poverty was a practice of religious clergy and nuns has been around for millenia not only in the Christian tradition but in other traditions as well such as Buddhism and Hinduism, the Jains, etc. The materialism of capitalism has taken us far afield of what for centuries has been considered by many wise, thoughtful people, the good life. Thank you for raising this idea once more for consideration. I really liked how you tied all those things in together from Seneca to Pipher to Schuler, etc. Thanks for this. There are religious disciplines which if engaged in regularly can keep us centered and encourage us to look inward and take our emotional and spiritual pulse at certain times of the day whether we say our prayers in the morning and in the evening and at meals, or pray five times a day facing east as the Muslims do, or just stop and at certain intervals periodically throughout the day to take a deep breath, and lower our shoulders, and be still for a minute. I call this "rituals of remembrance" that is we are calling ourselves to witness our inner, interior state of being. To become aware of our awareness is a wonderful, peaceful thing. We are taking a minute to re-member who, at our core, we really are. Some people are so broken that they have forgotten or lost touch with their inner beauty which never dies and is never extinguished but which gets covered in the external world of suffering, enticement, and stimulation of business.